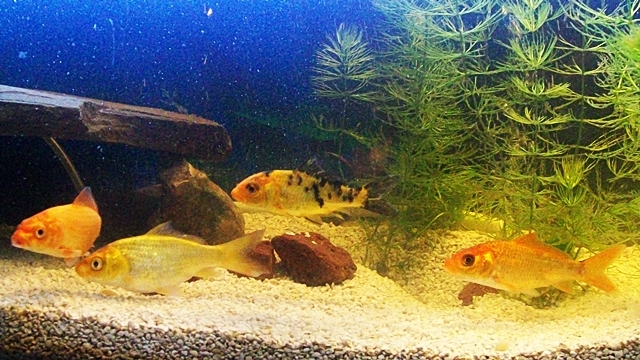 These big guys are being checked out by one of goldfish. Kin Iro and Horioshi were gifts from Heather. They were raised from babies in her aquarium. She is very generous to let them make their home in my pond. They have stolen my heart. 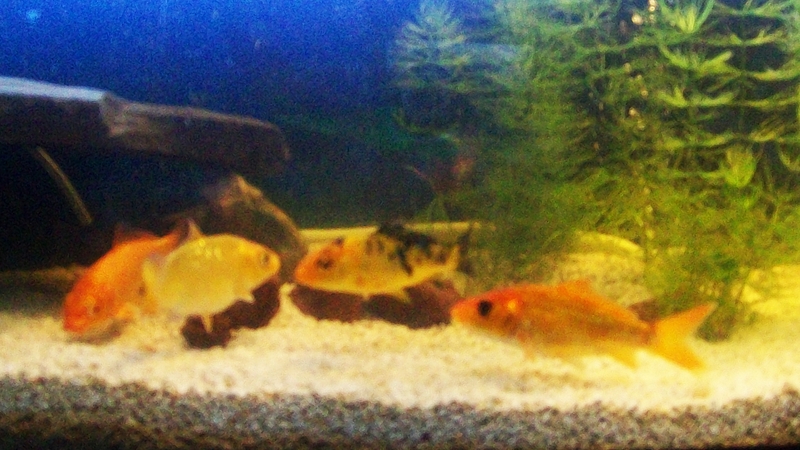 So much so, that there are four new babies growing in my tank awaiting spring to meet Kin Iro and Horioshi. Heather still checks in on her big babies, so I know they have a piece of her heart too! If I have this right…. Kin Iro means Gold Color “Kin” which means gold ‘Iro’ which means color Horioshi means Digger Teacher or Piercer Master? “Hori ” which means digger or piercer “shi” which means master or teacher I hope you will stop by and meet them when you come to Cute Little Cottage. 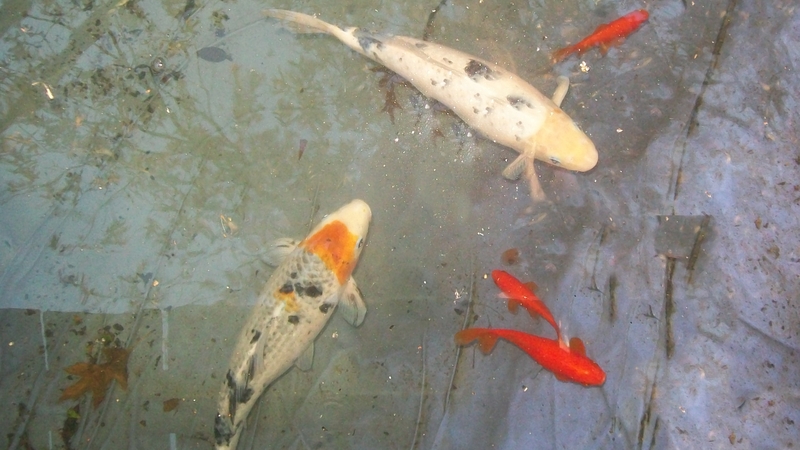 I’m sure you’ll enjoy all the fish and pond critters. Horioshi is the shy one. Kin Iro above, would bring food down to him so he could eat. These two have bounded together and are always very near each other. 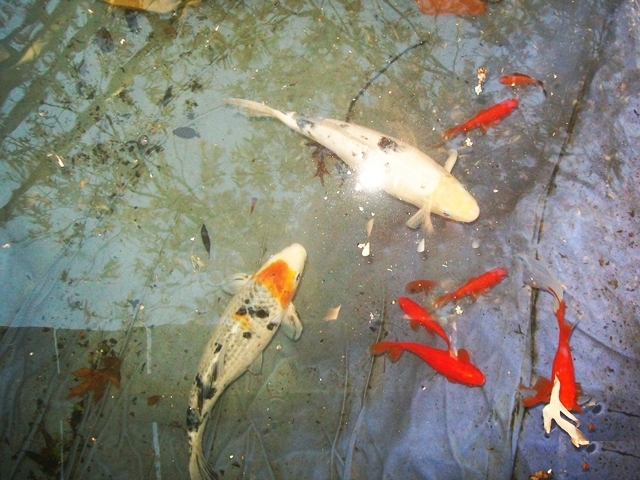 There is always something interesting going on around my pond. This is one of them. The animal tracks do not show up, but they are quiet evidence that there have been guests visiting the pond.